StoneyB has given you the basics and I mainly agree with him (except I've always spelled tone hole as two words), but here's a bit of illumination. You may be surprised to learn that there are two kinds of holes for that instrument: the tone holes, which are covered by the padded keys, and on certain keys there are holes in the keys themselves. (This is true for clarinets and a few other woodwinds as well, though not saxophones and not the bass versions of woodwind family). 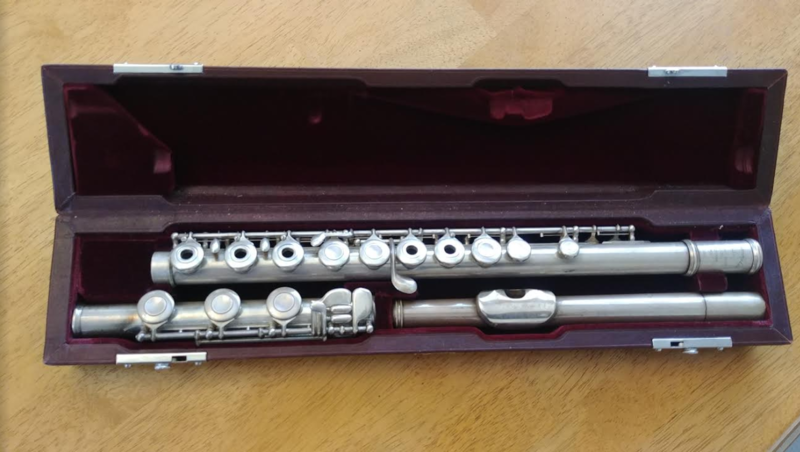 The holes in the keys are there to ensure correct finger posture, and a flute with these "perforated" keys is called an "open-hole" or French model flute. I have never heard the holes in the perforated keys called "finger holes," but it's possible they are called that in languages other than English. That designation is reserved for a flute that has no (or few) keys, like a Baroque flute, the unkeyed holes of which are called "finger holes" because the fingers directly cover the tone holes. Holes in wind instruments which control pitch are generally called toneholes or tone holes, but this term is often reserved for holes covered by pads operated by "keys". Holes covered by the fingers are fingerholes or finger holes. Verb for something that flies because of wind (but not flying free)? What is the word for when you beep an item on a cashier? What is the English word for the tests that are made by a memory of people? What do you call a sudden movement of the neck and head that you do when you think about something stupid or do something stupid?